Are you really in a rush? Don't waste time driving around the airport looking for a parking space. Simply hand us the keys, and we'll take care of the rest with our valet parking services. We offer services that no other parking lot offers such as car detailing, car washing, auto repair (done at Ryan Automotive), engine cleaning, window tinting, dent removal, upholstery repair, and oil changes. Please inquire on arrival. Please check in and present your SimpleAirportParking.com receipt to a valet team member on arrival at the entrance. Park in front of the office and come inside. 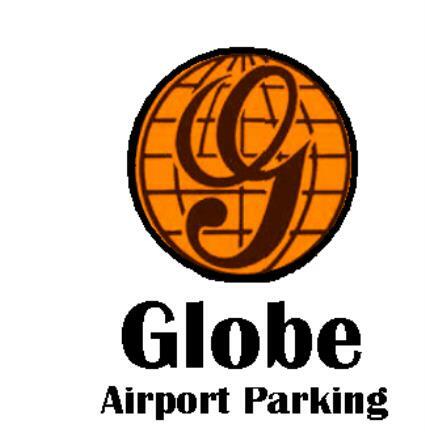 Globe Airport Parking is located only minutes from the terminal. The complimentary shuttle to PIT leaves every 30 minutes - on the hour and on the half-hour. 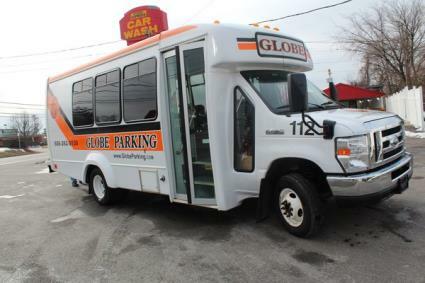 Our parking and shuttle services are available 24 hours a day which means we never leave you waiting. From handling your baggage to providing emergency car starts when your battery is dead, our goal is to make your trip to and from the airport as stress-free as possible. 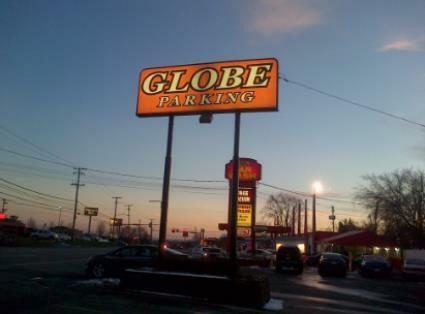 Globe parking is the oldest off-airport parking facility near the Pittsburgh Airport. In fact, our business here began in 1978 and since has grown from 20 spots to 1,000 spots, Most importantly, we offer affordable services and 24/7 surveillance as well.